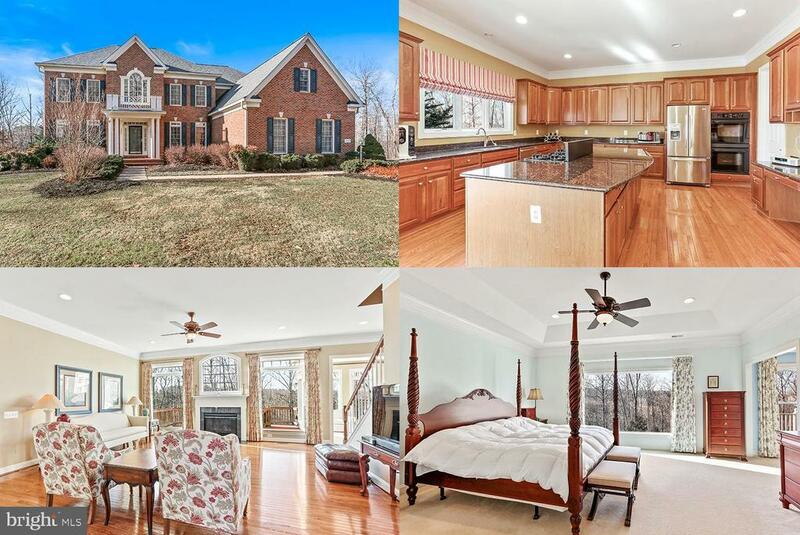 Country living but close to I-66 and Gainesville Shopping. 4 (or possibly 5) BRS and 4.5 BA. Huge Master Suite/Retreat with sitting room and fireplace opening out to a covered porch overlooking your 10 acre wooded estate. Huge windows throughout this lovely home lets in the natural light and allows you to feel you are sequestered in the woods. Lovely LR and DR with architectural details. The gourmet kitchen opens to a beautiful morning/sun room which opens to a large deck for outdoor living and entertaining. The Finished basement is complete with a finished bar and pre-wired Theatre room as well as multiple finished spaces for a gym and recreation room. Power generator in case of loss of power. Loan VA Assumption (3.75%!) contingent upon VA approval. This one is a MUST SEE!